Directed by Aditya Dhar, the military drama came out on January 11 and since then has been raking in moolah non-stop. Starring Vicky Kaushal, Yami Gautam, Paresh Rawal, and television actor Mohit Raina, has already been declared the biggest blockbuster of recent times. 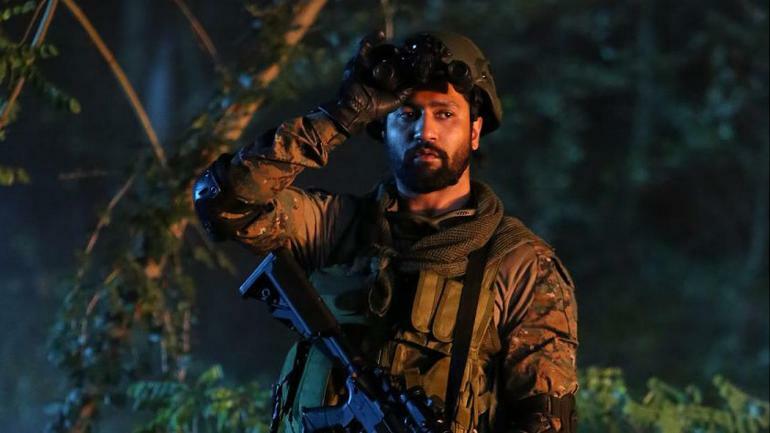 Directed by Aditya Dhar, the military action drama Uri The Surgical Strike has entertained many in theaters and received very positive reviews from the critics for its fresh & interesting story-line. As a result, it gained a solid word of mouth and still has a very good hold over the audience nationwide. After a fantastic start, Vicky-Yami starrer remained strong throughout the opening week and did the business of 71.26 crores. Then maintaining a superb pace, the movie managed to collect the amount of 62.77 crores on week-2, 37.02 crores on week-3, 29.34 crores on week-4, 18.74 crores on week-5, 11.56 crores on week-6, 6.67 crores on week-7, 3.83 crores on week-8, 1.63 crores on week-9 and 0.95 crores on week-10. With this, the movie has raised its 70 days total collection to 243.77 crores at the Indian box office. The film is based on 2016 Indian Army’s surgical strike in Pakistan as a retaliation of the Uri attacks. It is written and directed by debutant Aditya Dhar. It is produced by Ronnie Screwvala under his banner RSVP Movies. A few days back, ‘Uri: The Surgical Strike’ was declared tax-free in Uttar Pradesh by Yogi Adityanath government. It hit the screens on January 11, 2019, and clashed with Anupam Kher’s ‘The Accidental Prime Minister’ at the Box Office.